Ralston, John W. E 26 Slippery Rock , PA Sept 16, 1839 18-Jan-1921 Slippery Rock PA not found Per ACWRD, 1862 recruit-deserted Jan 22, 1863; returned Feb 13, 1865; buried in Slippery Rock Cemetery; genealogy info. 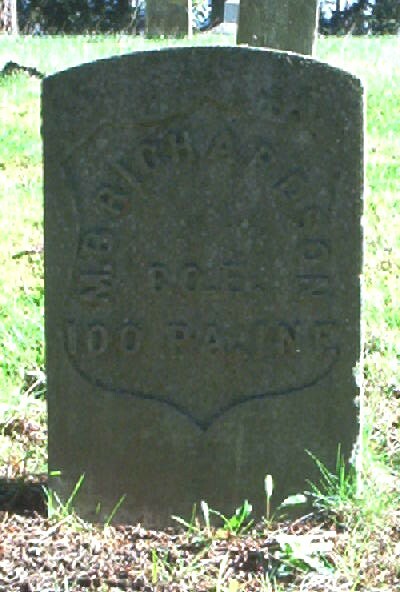 Ralston, William F 29 dark 5' 7" blue dark farmer Princeton, Pa. Butler Co., Harmony PA 1833 20-Jul-1915 Harmony PA X 8736884 No additional information found. Ramsey, Wm. M. B 20 farmer New Wilmington, Pa. Nov 30, 1861 Beaufort SC X 2954030 Beaufort Nat Cem, Died Nov. 30 1861 at Hilton Head, S.C.
* Steamer sunk 8/13/1862 Potomac River (Was on hospital steamer); Other Infor: died 9/8/1862; (Buried in Military Asylum Cemetery, DC. 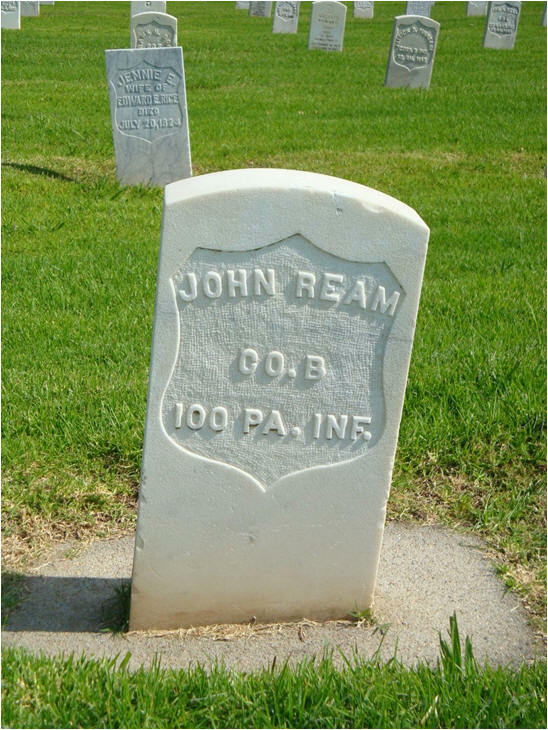 ); After the War he lived in Pittsburgh, PA; findagrave info is possibly same individual, died in 1871? Ray, Daniel T. H 25 Philadelphia, PA Sept 16, 1836 19-Feb-1907 New Castle PA Not found On 8/31/1861 he mustered into "H" Co.
Rayen, Jared K. G 33 Poland, OH March 22, 1828 2-Apr-1911 Harstown PA Not found On 2/10/1864 he mustered into "G" Co.
Ready, James H 28 On 8/31/1861 he mustered into "H" Co.
Reardon, John A 22 wood carver Allegheny City, Pa. not found Deserted August 30, 1861 per ACWRD. Reed, Andrew D 28 light 5' 9" brown light carpenter Beaver Co. Ohioville PA Pa. 1832 1895 Ohioville, Beaver Co. PA 78293820 findagrave info likely the same individual based on ACWRD info. Reed, Augustus E 19 farmer 1839 June 16, 1862 James Island SC not found killed per Oct. 15, 1884 reunion photo. Per ACWRD, killed at Secessionville, body left on battlefield. Reed, Augustus F 29 not found Per ACWRD, 1865 Draftee (Transcriber Note: interesting to note that there was an Augustus Reed in Company E killed on June 16, 1862, James Island SC, body left on battlefield). Reed, George A. E 29 dark 5' 7 1/2" grey light black smith Summit Co., Akron OH Ohio 12-Oct-1916 Suffield OH not found Middle initial A, "August"?, 1864 recruit born in OH. Reed, John D. D 25 lab. Beaver Co. South Beaver PA 18-Sep-1913 Ellwood City PA not found wounded in head; no other information available. Reed, Myers B 21 dark 5' 7 1/2" blue dark lab. Pulaski, Pa. 9-Sep-1915 Farrell PA Not found Transf'd Apr. 1/65 to Vet. Res. Corps G.O.W.D. Reed, Samuel D 18 light 5' 7" grey light farmer Beaver Co. Chippewa PA Penna. 1885? Beaver PA not found 1864 Recruit; ACWRD states died in 1873, but this is for man that was born in 1794--possibly his father or grandfather; based on age at recruitment, he would have been born around 1846. Reed, Simon I. A 18 Franklin Co., Letterkenny PA 27-Dec-47 20-Jan-1926 Montalto PA X 59905229 Bates incorrect--Middle name "Henry"
Reed, William A. D 18 dark 5' 5" brown brown farmer Penna. not found 1864 Recruit--no other information available. Reichter, Thos. J. A 16 March 20, 1865 Chambersburg PA Not found 1865 Substitute. Reno, John B. D 19 engineer Allegheny Co. Sewickley PA Rochester, PA September 3, 1843 11-Feb-1912 X 60046555 No service information on gravestone picture from findagrave.com; confident same soldier based on supporitng ACWRD info. Rodgers, Robert W. E 25 dark 5' 8 1/2" grey dark farmer Plaingrove, PA 1839 May 12, 1864 Spottsylvania CH VA not found killed per Oct. 15, 1884 reunion photo. Per ACWRD, wounded at South Mountain, MD, 9-14-1862; buried in Plaingrove, PA Lawrence Co.
Rodgers, William H. E 20 farmer Plaingrove, PA Sept 15, 1862 Mil Asylum Cem DC X 35809202 Per ACWRD, wounded at Bull Run 8-29-1862; confident that findagrave listing is same soldier. Rodgers, Wm. M. G 21 King Co.; Seattle WA 7-Jun-1923 Sumner WA 5104513 Per ACWRD, On 8/31/1861 he mustered into "G" Co.; He was Mustered Out on 8/30/1864; (Mid initial M or N); After the War he lived in Skagit Co,Washington; possibly buried in Mountainview Cemetery, Auburn, WA based on findagrave info; middle name Madison? Roth, John S. E 21 25-Nov-1930 Lamoni IA not found Per ACWRD, after the war he lived in Iowa; 1865 substitute. Rowe, Hezekiah J. D 17 dark 5' 7" hazel black farmer Newago Co., Ensley MI Westmoreland, PA March 7, 1848 20-Nov-1931 Casselton ND not found Top of page 3, family tree maker page--same individual, may have died in 1937? 1865 Substitute; mustered out with regiment; birth info per ACWRD; became physician in Casselton, ND; also a ND state senator in 10th District in 1889-1890. Rowles, Andrew B 24 April 6, 1865 Petersburg VA X 35678165 Arlington Nat Cem Wounded at Petersburgm Va. 3-9-65 Died 4-6-65 of wounds. Buried Arlington Natl Cem., Arlington, Va.
Russell, Simon S. A 19 Washington, Pa. September 8, 1862 VA X 35809314 Wounded at Bull Run, buried in Military Asylum Cem, DC. Per ACWRD. 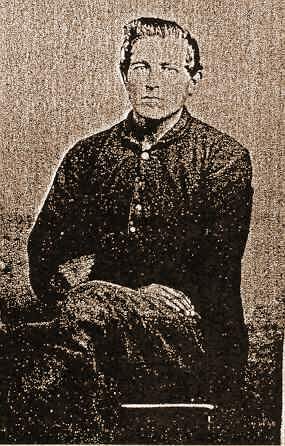 Russell, Thomas A 24 not found 1865 Substitute, wounded at Fort Stedman, 3-25-1865 per ACWRD. 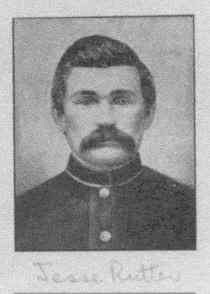 Russell, William C 28 not found On 3/6/1865 he mustered as a substitute into "C" Co. ; He was Mustered Out on 7/24/1865. Buried: Arlington National Cemetery, Arlington, VA; Wounded, May 12, 1864; Widow Ann in 1890 census. He was discharged on 11/12/1862. Lived in Middlesex, PA after the war.